The facade of St. Peter’s Basilica in Rome. The sheer scope of Christianity was brought home to our Living with Christ pilgrimage on our second day of touring. In the morning we visited the Catacombs of Saint Calixtus on the Appian Way, the road where Christ is said to have met Peter and asked him, “Quo vadis?”. It was very moving to tour some of the five-storey crypt, which dates back to the third century, and see ancient images of the Last Supper and the ichthus. When our tour chaplain, Fr. Jack Costello, offered Mass on the site, being in a place where some of the earliest Christians gathered to pray for their loved ones clearly influenced us, as the intentions the group offered were prayers for ailing family members and the recently departed. 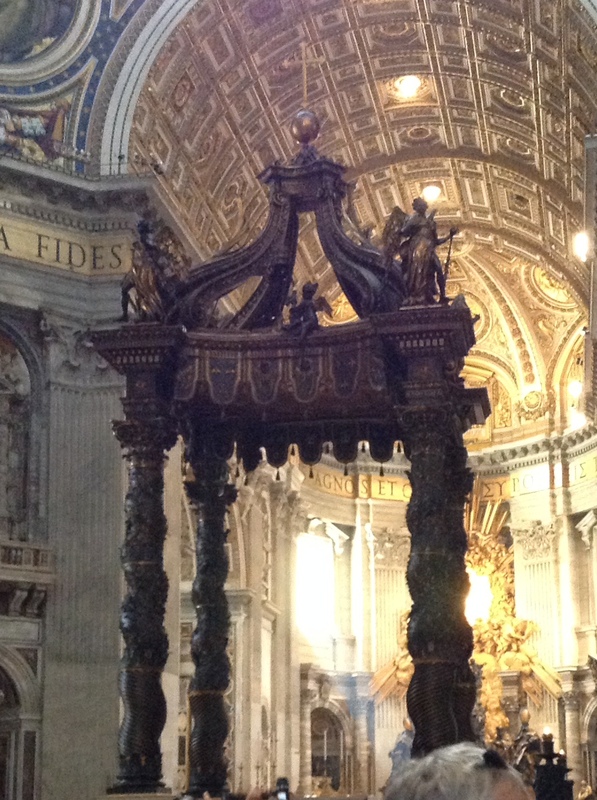 Bernini’s famous baldacchino inside of St. Peter’s Basilica, Rome. 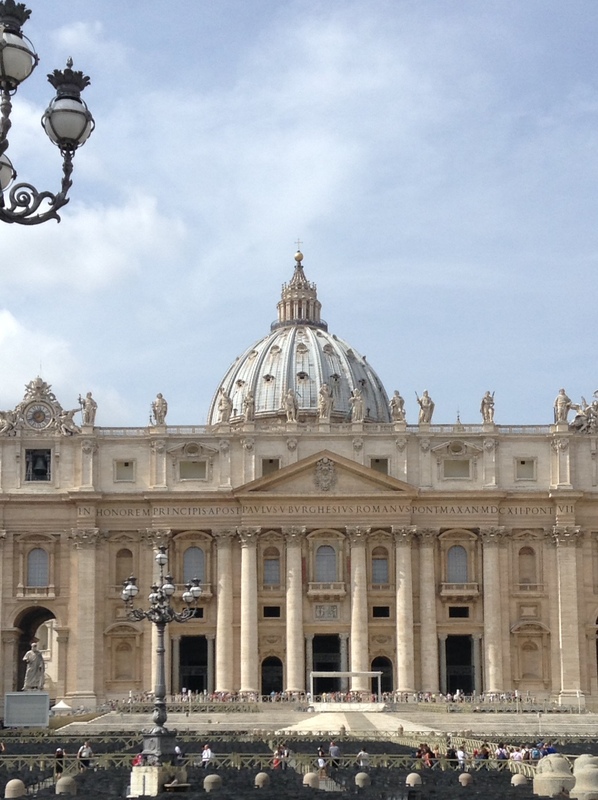 In the afternoon we visited Vatican City, including the Vatican Museum and the Sistine Chapel. We were fortunate to have a wonderful guide point out some special details of Michelangelo’s fabulous frescoes. We ended the afternoon in the breathtaking St. Peter’s Basilica, completing a day that took us from the earliest Church through to where Pope Francis lives today.